Bortolinkemo specializes in uncasing, case packing, carton erectors, partition inserters, and case sealers. These machines have been engineered to target the wine and beverage industries. Bortolinkemo’s case packing equipment is designed to improve efficiencies, quality, facilitate change-overs, and reduce staffing costs. Bortolinkemo offers machines that operate from 50 bpm to over 500 bpm. Bortolinkemo specializes in uncasing, case packing, carton erectors, partition inserters, and case sealers. These machines have been engineered to target the wine and beverage industries. 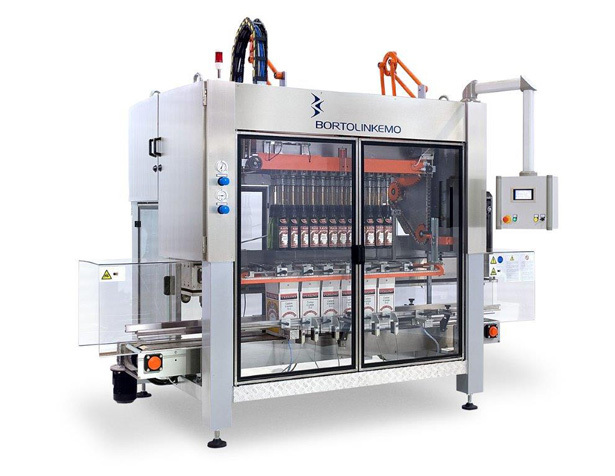 Bortolinkemo’s case packing equipment is designed to improve efficiencies, quality, facilitate change-overs, and reduce staffing costs. Bortolinkemo offers machines that operate from 50 bpm to over 500 bpm.